How long does it take to send and receive letters? 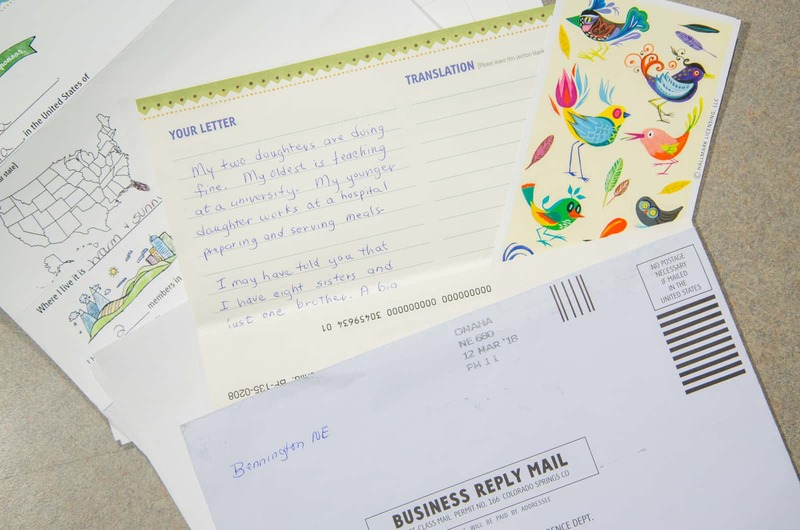 For this month’s Compassion Letter Club, we chatted it up with folks on our Correspondence and Mail Processing Teams here at our headquarters in Colorado. Who better to give us the inside scoop on the U.S. side of the letter delivery process? They’ll address some of your specific questions while walking us through what it takes to get your precious words to the country in which the child you sponsor lives. And even better, they’ll share some pro tips for what we can do as sponsors to help the process go smoothly. Because let’s be honest … receiving a letter is such a joy, we all — including students in the program — want our letters to arrive yesterday! Meet Aaron, Karen and Joe. They manage the teams that care for all of the physical letters from both sponsors and beneficiaries in our program. “2017 was a record-breaking year for letter writing at Compassion. 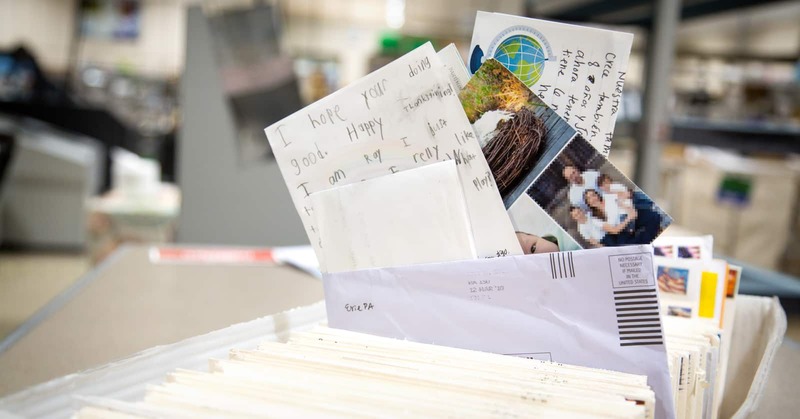 We received over 2 million individual letters from U.S. supporters and over 3 million letters from children in the program to their sponsors!” says Aaron Brown, Correspondence Fulfillment Manager. WHERE DOES A LETTER GO? There are three links in the chain that connects your letter to the child you sponsor: our U.S. headquarters, the Compassion office in the country where the child you sponsor lives, and the Compassion center he or she attends at his or her local church. If you choose to write a letter through your account online or through the Compassion app, it doesn’t come here to our U.S. headquarters. The letter is digitally received — almost immediately — in the office in the country in which the child lives. There it is translated and printed. Then the letter is delivered to the child’s Compassion center and into his or her eager hands. PRO TIP: Track the progress of your letter in your account. You’re able to see when your letter is in transit, received, in translation and delivered! But you can also mail physical letters to us which we will digitally scan to your account for you. 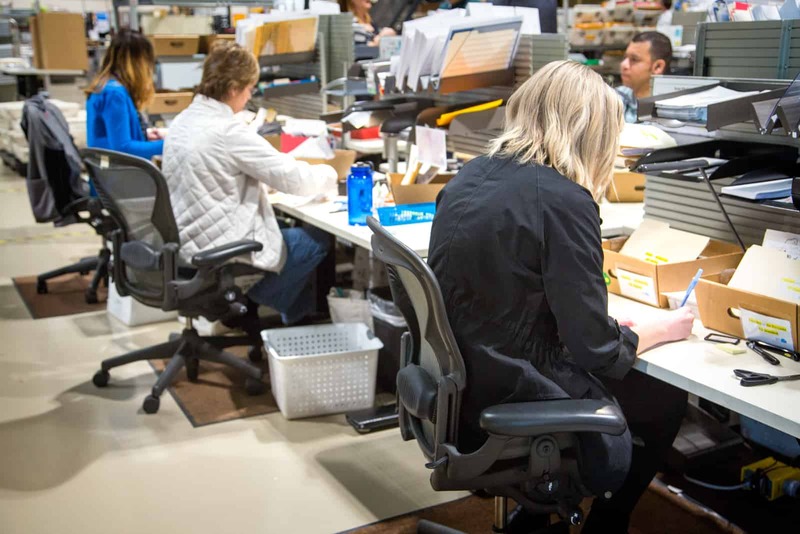 This is where the Correspondence and Mail Processing Teams come in. The Mail Processing Team hard at work taking care of your letters. Both sponsors and children expressed their desire for letters to travel back and forth quicker. And we heard them! This is why we now digitally scan and electronically deliver letters and photos. They are printed and mailed within the country rather than shipped internationally. Scanning letters into your account also saves time in other ways. “Because we save images of the letters it really helps us sort out issues much faster! In the past, if a translator had a problem with a letter they would have to bring it back to the country office. Then the country office would have to mail it back to Colorado before we could see it and evaluate the problem. Now, that whole process that took weeks can take hours,” says Aaron. “Physical letters will take three to five days in the U.S. mail to get to us. Depending on the time of year and workload, letters are processed and scanned within 24 to 48 hours. The scanned documents go to the country within hours,” shares Joe. If you wrote your letter online, it’s digitally delivered to the country office the same day. Once the country office has received the letter, it can take anywhere from a few days to a few weeks for the letter to be delivered. A few factors can affect that timespan, like how close the Compassion center is to the office and how many letters the translators need to process. “When we ship a package to the field, we ship it as a ‘document only’ shipment. ‘Document only’ shipments clear customs quicker and with a minimum of assessed duties and taxes,” Joe explains. If you want what you send to get there as quickly as possible, we recommend only sending items that can be scanned – items like letters, photos, postcards, greeting cards, coloring pages and paper crafts. 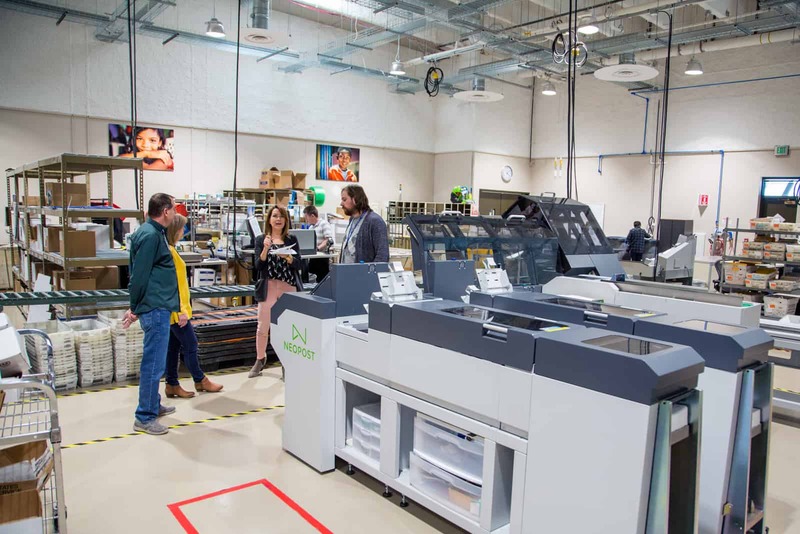 This eliminates the additional processing and shipping times of paper items that cannot be scanned and digitally delivered. PRO-TIP: Consider sending a monetary gift. Whether you give online or mail it to us, monetary gifts are always processed digitally so they don’t have to be shipped. 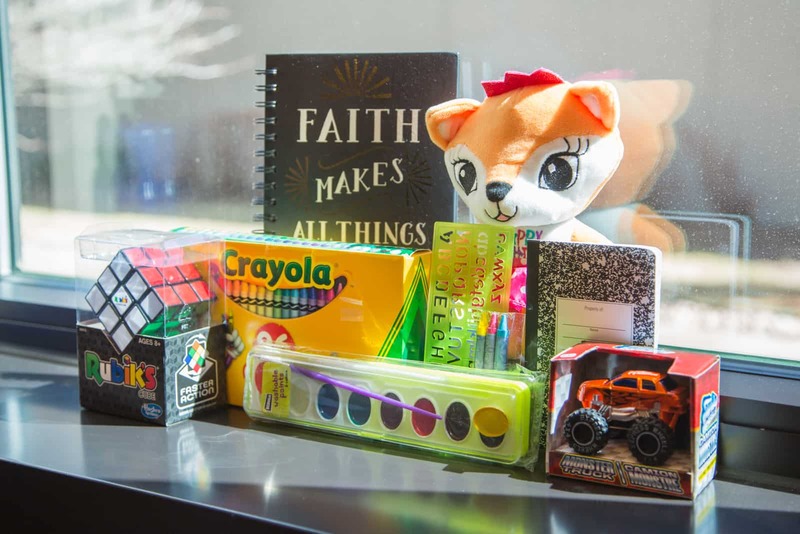 Monetary gifts stimulate the local economy and allow the child, along with his or her family and local Compassion staff, to pick a gift that benefits him or her. HOW CAN I HELP THE PROCESS GO SMOOTHLY? If you’d like the letter you mail to us to get to that special kiddo quickly, here are some more pro tips to help things go smoothly. PRO TIP: Use Compassion stationery and leave the translation box blank. “If the letter is on personal stationery, or greeting cards, with handwritten child and sponsor numbers it will be slightly delayed as those need to go to a staff person for some manual processing. If child or sponsor numbers are missing, the letter goes into a research queue. Those letters can be delayed for days,” says Joe. Lovely gifts from sponsors that unfortunately cannot be sent with letters. PRO TIP: Only send flat paper items. 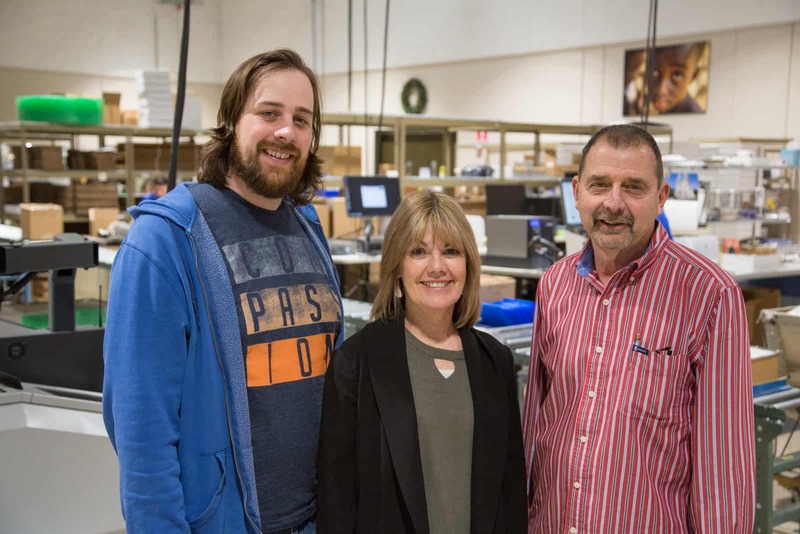 “One of our biggest problems is items that cannot be scanned or sent physically to the field. These items can cause many hours of labor. It is heartbreaking at times not to be able to send some of the really beautiful items that sponsors send. Our sponsors have big hearts!” explains Joe. “If the item can’t be sent, an email or letter is sent letting the sponsor know and the gift is donated,” says Karen. But don’t worry, your letter is still scanned and delivered! HOW LONG DOES IT TAKE TO RECEIVE A LETTER? Because letters from students are always scanned at the country office, it will show up in your online account right after it’s been translated. But if you’ve chosen to receive a paper version of the letter also, the Correspondence team here prints and mails it to you, usually within 24 hours. Letters from students to sponsors are printed, folded and mailed from here in our warehouse. Right now, we print about 15,000 letters a day from students to their sponsors. So much love!! “We have been breaking records nearly every month with letter volumes. We love it when people write!” says Aaron. PRO TIP: If you’d like to go paperless, head to your account and choose “Child Letter Preferences” to select getting an email notification when a digital letter arrives. Joe, Karen, Aaron and their teams are just one link in the international, multicultural chain of folks who help connect you with the child you’ve chosen to invest in. 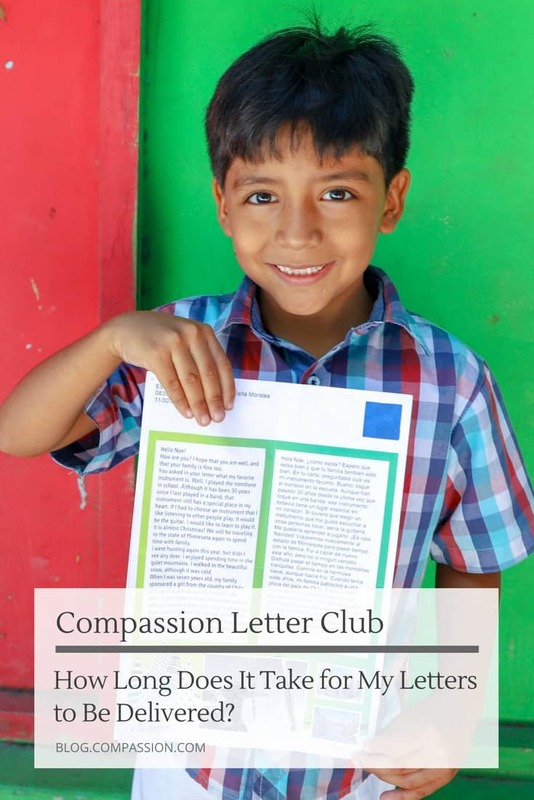 Keep an eye out for more Compassion Letter Club posts this year as we tackle some of these same questions with more people in the know on the other side of that chain! Now that you’re in “the know,” take a minute to send some encouragement to the child or teen you sponsor! We are committed to continually improving this process so we always value your feedback. Keep your questions coming! For Compassion Letter Club ideas of what to write or send with your letters, join our Compassion Letter Club community board on Pinterest! 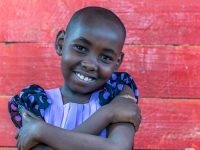 When Will I Receive a Letter From the Child I Sponsor? Hi Diane! You may send paper and plastic stickers now, so it is okay if they are a little raised, glitter or metallic looking! If you have any additional questions, I encourage you to check out cintl.us/letter-faq. We are also happy to help you! Hello. I sent a letter and a birthday card along with uploaded photos of a couple of coloring pages to my sponsor child in Bolivia this month (both were sent electronically). A few days ago, I could see where both of them said the were in the translation process, but now they just give me the option of viewing them. Does that mean my sponsor child has received them? Thank you. Hi Linda! Thank you so much for sending your sweet girl loving and encouraging letters! I’m sure that Ayeleth will appreciate each and every letter you send to her. When your letter becomes viewable on your online account, it simply means that it has completed the translation process. Once a letter has been processed, it will be printed out at the country office and delivered to the child’s student center to be given to the child. The time it takes for the letter to be delivered to the child varies depending on how far away they are and how rural their center is. Please rest assured that our field staff will ensure Ayeleth receives your letters as soon as possible. In fact, it’s possible that she’s already received your first letter :). Hi, I am wondering if the translation process etc could be speeded up a bit between myself and my sponsored child. It is so slow and obviously overlapping that it is impossible to develop any kind of realistic relationship at all. I have been sponsoring my child for a while now and although I believe that things are better because she is older now I have not written so often because I am just receiving the same comments and phrases or questions. There is no continuity here. Hi Susan! I am so sorry for the frustration caused by yours and your child’s overlapping letters, and I completely understand where you are coming from. I started sponsoring a boy in Kenya about six years ago, and it took about three years to finally get in the rhythm of sending back-and-forth letters. The time and disconnectedness you may sense in your letters is due in part to distance, time and cultural differences. There are a few challenges that face your child: Letter writing is a foreign concept to developing countries. Sometimes the staff will write a list of suggestions or letter samples on the board to help the children in their letter writing. This is one reason letters can sound scripted or unoriginal; out of a deep desire to communicate with their sponsors, children will copy the samples or follow the list word for word. Remembering what sponsors ask can be difficult for some children. 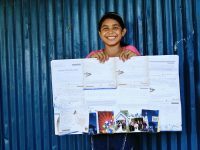 Most children treasure their letters from their sponsors, and they will take them home and put them in a place of honor. They often forget to bring the letter back to the project on the next letter writing day. Children are required to write two times a year to their sponsors. The best way to get to know your your child is to write. I know it can be frustrating at times, but the more you write to your child, the more comfortable and open she will be in her letters back to you. In your next letter to your child, you may want to highlight your questions. Try keeping them simple and to the point. Please know that we so appreciate your care and support of your girl. Even though she might not be able to express what your sponsorship means to her, be assured you are making a difference in her life. Hello. I chose to sponsor a one year old boy in Nicaragua. I know it will be many years before he can write to me but I still intend to write to him and his family. Will the tutors work with his mom to write me occasionally or should I just prepare myself that it will be quite the wait to hear from him. Either way is ok, though I’d love to get to know Mom as well while we wait for little Juan to grow. 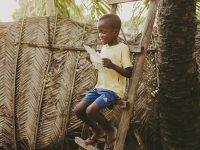 Though I chose a child this age to sponsor because I felt I could be there for him through his whole childhood, reading all these blog posts about letter writing makes me wish I could sponsor an older child too. Perhaps God will provide the means. I can’t say enough good about this system that lets us reach out to children so very far away in need. I LOVE the speedier letter transfer, too. On-line is easy and reading this article has given me the idea of how to send information & fun stuff even though I am doing most of my letter writing on-line. It seems though that the template restricts children sometimes. I know it is often helpful but after yrs of letter writing, I still get a letter with the exact same opening, weather and closing. There may be a few sentences, 2-3, in the middle that are personal or real. My ‘new’ child Lydia was sent a family and personal gift. Two letters were written to me the same day (date), one for each gift (sent simultaneously), and both told me the weather, I am fine, hope you are fine, etc. (hoping for photos of these gifts, or at least the goat!) She must have been so frustrated having to write the same words over again 4 times! (2 drafts & 2 letters) I wait desperately for these letters, likely with the same intensity the kids do! It is difficult when I can practically “read” the entire letter before I even open it because I know what it will say. Judith, now in 11th grade, is finally writing a few more sentences in the middle of the “I hope you are fine. My family and I are also fine… As sponsors it is easy to become self-focused and forget this process isn’t about us; it is about encouraging the children. It is also difficult to remember that writing a ‘rich’ stranger in a foreign land is overwhelming to these children. Maybe it takes until 17 yrs of age to ‘loosen up’ a little so I am working on my patience 🙂 May God bless this process. Praise Him for the new speed! Keep up the good work. And remember, we LOVE photos, too! Hi Jean! We are so grateful that you responded to God tugging at your heart to sponsor your two beautiful girls! I hear your heart for this ministry and your desire to foster relationships with your sweet young ladies. Please know that our desire is for every sponsor to have this opportunity to develop a meaningful relationship with their child. Sadly, many children feel timid or have a lack of confidence when it comes to writing. It is also quite common for letter-writing to still be a foreign concept, so the idea of opening up in a letter may feel strange. I encourage you to continue writing and encouraging them, and we sincerely hope they will open up more in their future letters. Thank you so much for blessing Lydia with your generous gifts! You can expect to receive a thank you letter from your about six months after the gift is given, letting you know what was purchased. If the gift amount is $60 or more, you will also receive a photo of what was purchased. Sadly, because your previous gifts were less than $60, you will not receive a picture. However, I see that you just gave another generous gift of $60, so you may look forward to a picture with that thank you letter :). That is so exciting that Lydia was able to get a goat! We very much appreciate your kind words and the love you have for your kiddos! Hi Joanna! I’m so sorry to hear that you cannot see your letter yet. Did you use the mobile app on your phone, or are you using the website on a computer? If you’re on a computer, you should be able to select Write My Child, My Letters, and then Conversations. I would also be happy to check that your letter did get received, but I am unable to locate your account. Will you please send us an email at socialmedia@compassion.com with your sponsor number? Thank you! I saw the following statement in the blog post. After trying to find the information in my account I called the support line. I was told this information is not available. Hopefully someone can correct this part of the blog and save people effort trying to track it down. Hi Doug! I’m so sorry for any confusion caused by receiving different information than what is written in this blog. I sincerely apologize for any misunderstanding or misinformation we may have given you. When a letter to or from your child is in process, you can see that status next to the letter on your account. You can view this by going to “Write My Child” and then “My Letters”. Under conversations, you’ll see a list of your letters to and from your kiddo. If all of the letters have been translated and processed, you will simply see the option to view the letter. If it is not ready yet, you will see that it is processing. I hope this information helps! My wife and I sponsored a child from the Dominican Republic last weekend and she wrote her first letter that night. The country office is only 7 miles from the childs (Ruth) center/Church, how soon will Ruth know she has a sponsor (and get the letter)? God Bless all the workers and sponsors who read this, we are all God’s children. Mike, the children are typically notified that they have a sponsor within the first month of sponsorship. It also typically takes between a few weeks to a few months for letters to be translated, processed, and delivered. That said, it is always possible that your letters and information will travel faster because there is further to go from the country office to your child’s center. Thank you for choosing to love and support a child! God bless you and your family! Hello Moriah! I’m happy to help you today! 🙂 Sometimes when children are writing letters, they may not have your previous letter in front of them while they are writing their letter. They could have forgotten, but to make sure your child does know that you live with your parents, I would bold or highlight that statement in a letter. This will pop out of the page! Let us know if you have any further questions and we will be happy to assist you! Hi Pam! Yes, your bookmarks are going to be delivered physically to your kiddos :). Thank you so much for sending them such sweet gifts! I received our 1st letter from our sponsored child in the mail. I’m not sure if our letters crossed paths since some of the things we asked or talked about were not acknowledged. His letter to us seemed like he may have written it prior to receiving ours. So now my 9 year old son thinks we need to wait until Ivan writes to us before we send another letter. I don’t know who’s turn it is. How does the child find out that he has gotten a sponsor? Does he write a letter at that point, or wait to hear from the new sponsor? Hi Patti! Welcome to the Compassion family! Thank you so much for choosing to bless a child with your love, support, and encouraging letters! When a child is notified they have a sponsor, they write their “Introduction Letter” right away, so their first letter is almost always written before they have received any letter from their sponsor. Therefore, it is very possible that your child received your letter after they had already written their first letter to you. I encourage you to not wait to write your next letter because the more letters you write, the more you will receive in return, up to about 6 letters per year :). I usually recommend writing about 1 letter every 1-2 months. This will develop a regular writing schedule between you and your kiddo. Please know that it may take a little time to develop a regular back and forth conversation in your letters. Thank you for your patience and understanding. We are so grateful for your desire to develop a meaningful relationship with your child! Please let us know if you have any additional questions or concerns. Have a blessed weekend! What if you don’t receive an introductory letter from the child you are sponsoring? I wrote a letter soon after signing up, and another just recently. I’m not sure she is even receiving them, how can I be sure? If she is, then I will just keep writing, thank you. Christine, I’m so sorry to hear that you have not received Alejandra’s first letter yet as I’m sure you’re very eager to build a relationship with your precious girl. Regrettably, there are many variables involved with each individual letter, so it may take some letters more or less time to be received, processed, and delivered. When you have sponsored a child, you should receive your first letter within 4 months and no longer. I do see that our field office receive Alejandra’s first letter for you about a month ago, but they did have to send it back to have something fixed with it. I’m sorry for this delay, but you should receive Alejandra’s first letter soon! Please rest assured that your letters are indeed being sent to your sweet girl, and she is receiving them! Anytime you guys have an article on letter writing and the timing of how it all works is always a welcome read! I understand that when it comes to translating one language to another, and driving sacks of letters across train not meant for cars or trucks for many miles is going to take a long time. All in all I think you guys do a great job. My question has to do with my account and letter writing. There were a few letters I wrote online and submitted them last month, in March. I was watching the tracking of them. They went straight to Translation were it was said they had been submitted. They were there for 4 to 5 days. The tracking ended when the translation was apartently done. For the first time I viewed my letter drafts the other day and all but one letter was there. The heading said that these letters were “unfinished”, even though I saw each of these letters tracked as being in translation and having been submitted. I also want to point out that at no point did I ever ask that these letters be saved as a draft, at least I don’t ever remember ever having done so nor did I ever think I had an option to do so. My question is, are these letters that are in draft submitted or not? Are they on the way to my child or are they held up? Again, I wrote 4 letters in March, 3 are in draft and one of them isn’t, yet I tracked all of them as having gone through translation. Thank you so much for your kind feedback! I see that we did process, translate and send 4 letters to your sweet child. They were written on the 7th, 16th, 23rd and 29th. If you wouldn’t mind, can you please email us a screenshot of what you are seeing so we can ensure nothing is wrong with your account online? You can email us at socialmedia@compassion.com. Thank you so much! I sent the email, and thanks for letting me know that my letters are on the way! Hi ladies! I’ve seen you respond to how to “track” our letters to our kiddos but when I do this, it only says “view” the letter I sent (I sent it online)! It doesn’t say processing, being reviewed, translated, etc. Is there perhaps a different way I’m missing? We just started sponsoring him on the 4th so we sent him a letter that day! I know I read that when we submit letters online, it will be delivered to that place the same day. I remember at one point it did have something along the lines of “processing” or “reviewing” or something like that but I never saw it again. Now it just says “view” the letter I sent. It doesn’t tell me if it was delivered or being translated? Maybe they’re just SUPER fast lol! Jaclyn, yes, that letter was delivered. 🙂 Thanks so much for writing to your child! It makes a huge difference! At the end of February/beginning of March I sent birthday cards and final letters to two of my sponsored kids whose birthdays and completion dates are in May. Based on the above, it would seem like they should have been scanned into the system my now as I live in a suburb of Denver. Is it slower right not processing items? Pearl, thank you for this helpful information! I’m so sorry that your birthday cards and final letters to Derartu and Jean have not been received and scanned into our system for processing yet. Regrettably, I do not yet see them on my side either. I understand your eagerness for your letters to reach your young man and lady as their estimated completion dates and birthdays are quickly advancing. Usually, physical letters may only take a couple of weeks to be received in the mail and scanned. However, as we said early, there are many variables involved with each individual letter that may cause them to be a little delayed in processing. Because of this, we do need to allow a full eight weeks before inquiring our mail staff about a letter. Since you sent your letters about four to five weeks ago, we do need to wait another several months. Please do let us know if you do not see your letters to Derartu and Jean once it has been eight weeks, and we will be happy to inquire after them. Also, please rest assured that we are able to accept final letters for students a full 90 days after they have officially completed the program, so there is still plenty of time to ensure they receive your final letters :). Thank you so much for your grace and patience! Send me a planning guide DVD that I can show to parishioners. My sponsor number is 4079367-5. I am happy to receive letters from my sponsored child. I will ry to send my letters on line when I can get into my account. I am willing to show the DVD planning guide to parishioners. My sponsor number is 4079367-5. You have my e-mail address. When I try to send it, the computer won’t put in the at. I was wondering how long it usually takes a child to write back? I began my sponsorship 2 months ago and though I have written a couple of letters, we have not received any letter from her. My daughters have each written a letter and wanted to hear back from our sponsored child as well. My child’s language is Spanish so a couple of times I have written in Spanish to hopefully convey my interest of her language to her. I have a co-worker who was raised by Spanish-speaking parents so I have him look over my letter beforehand to make sure it all makes sense. Could doing this possibly slow up the delivery of my letter to her? One time I made a coloring page of a Bible verse in English & then the same verse in Spanish. I know how excited I would feel it she were to write something to me that she had written in English so I wanted to also do that for her by writing in Spanish. Thank you for all you do to bring us closer to our sponsored children. I’m not quite sure if the blog post addressd this, but is it still possible to mail physical paper items, like stickers, bookmarks, and the like? I sent $100.00 to Iris & I’ve not heard anything. The information said I would receive pictures of Iris & what she received. I’ve never gotten any pictures or not even a mention of the money I have sent to her in the past. Some one else writes her letters & they are far & few between. I even sent her pictures & they’ve never been mentioned. I’ve talked with other sponsors & they have beautiful stories to tell. I’m a little let down with this experience. I’ll stop now, I’m sorry I probably shouldn’t have said anything!! Thank you! Thanks for this window into the letter delivery process! I love writing to and hearing from my sponsored children. I currently sponsor four, in Rwanda, Uganda, the Dominican Republic, and Sri Lanka. Letters from the first three come to me promptly, and the process goes faster now than before. But the translation process in Sri Lanka really needs work–it takes a letter up to 10 *months* to reach me. Sometimes Sayuri asks me well in advance to pray for something, but by the time I receive her letter it’s too late. So frustrating, and so hard to maintain a relationship that way. Hello, I was wondering if the translators actually speak both languages, or do they type it into translating software? I have gotten pretty good at recognizing words and phrases in the various languages, and sometimes I can tell that the translation is not correct, so I use a translation app to see what it really says. I really appreciate all that you do, and the letters have been a huge blessing in my life. Thank you so much! Hi Laurie! Our amazing translators do know both languages, but English is often a second language to them. We do utilize translation software, but our translators double check and make sure that every single letter is completed before sending to the next step for quality assurance checks. We purposefully have people who are fluid in their native dialect because they are able to understand local idioms and slang that translation software may not pick up on. That being said, nobody’s perfect, and there is always a margin for mistakes to occur. We appreciate your grace and understanding! Thank you so much for your heart to bless your sweet children with your love and support! Thank you for your blog post. Your time and effort in making the letter writing process clear is helpful to us who are eager to receive letters from our sponsored children. This was an insightful post. I have elected to write all my letters online and receive a digital copy of the letters that come from my sponsored children to save time and money. I can tell the process has definitely gotten more streamline from what it was 15 years ago. I am curious to know more about who translates the letters in country. Who are the translators? Do they work for compassion? I am sure the process is similar in the various countries. I noticed that some countries seem to take longer to translate letters than others. Why might this be? I always feel blessed when I receive a letter from one of my children. It warms my heart when I hear them respond to my letters, thank me for support or hear that they pray for me and love me. I believe that the letter writing process gives these children who are sponsored an opportunity to practice ministering and encouraging others through writing. Hi Michael! Thank you so much for your kind words and support of our ministry. You have asked some great questions! Our next Compassion Letter Club post will most likely answer your questions about our translators and how the translation process works. Stay tuned! We cannot thank you enough for the incredible difference you are making in the lives of your kiddos through building meaningful relationships with them! God bless you! Hello! I cannot find how to “track” my letter as mentioned in the Pro Tip above. Can you direct me? Hi Betsie! I have responded to your previous comment with the answer to your question. Please let us know if you have any additional questions. Have a blessed day! Thanks for this post! I did not know you could track your letters. I am having trouble finding this is my account. Can you direct me? Hi Betsie! Thank you so much for choosing to bless Princess with your sponsorship, and welcome to the Compassion family! Since you are so new to sponsorship, Princess’ first letter to you has not yet been received or scanned. Therefore, you are unable to see her letter in your account. It may take some time to build a regular back and forth letter writing relationship with her, but once a letter from her has been scanned into our systems, you will be able to see that it is in process. You may see this on your app or online by logging into your My Account. Once logged in, select “Write My Child” and then “My Letters”. Please let us know if you have any additional questions. Have a blessed day!